Today's delivery is brought to you by Danger Mouse & Daniele Luppi. Now, on this blog, Danger Mouse needs no introduction but Daniele, on the other hand, could use a bit of an intro. Daniele Luppi is an Italian composer who has been producing music for quite some time. 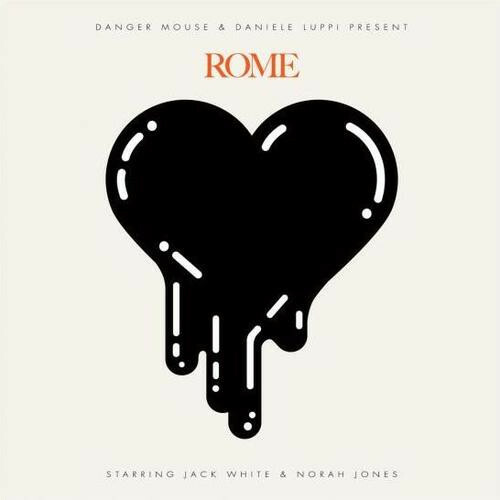 It was pure luck that he ran into Danger Mouse a few years back and they discovered that they both had a fondness for the music produced in old Italian cinema. This let them to decide to work together and for 5 years they have been working on their soon to be released album called Rome. This is a definite buy. Now this album also has collaborations with Jack White and Norah Jones. So, in all, this album houses some of the most artistic visionaries we have in this generation. The track I'm bringing to you today is called "The Rose With A Broken Neck" which features Jack White on vocals. You don't get much more dreamy production than this but I should warn you that the track has a very "lonely" feeling. Check out the track and chill…..